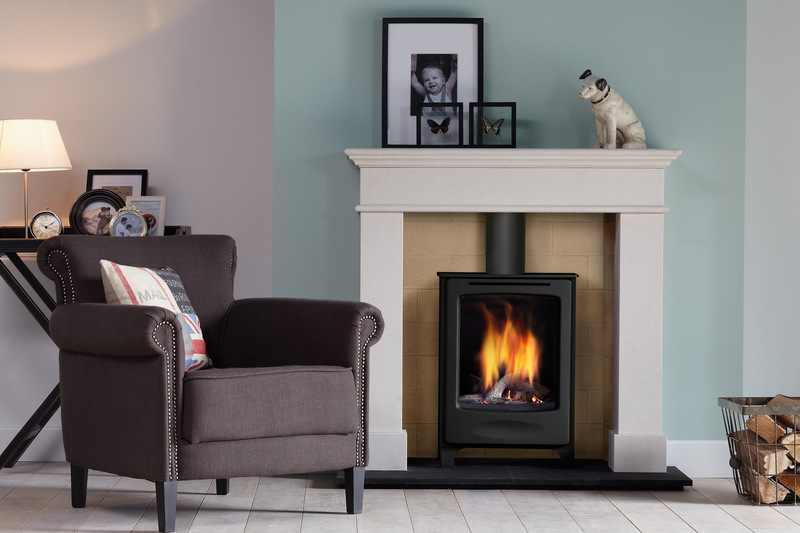 Global Beau is a classic, freestanding gas stove with a conventional flue. It has an authentic log fire and runs on natural gas or LPG. With a heat output of 3.3 kW it can heat an average sized living room. Global 120 BF is a classic contemporary 1.2 metre wide letterbox gas fire with impressive log, stone or anthracite glass fire displays and improved energy efficiency of 88%. Its expansive glass window lends itself to a variety of locations around the home, as well as hotels, restaurants and other places where people gather around the fire. 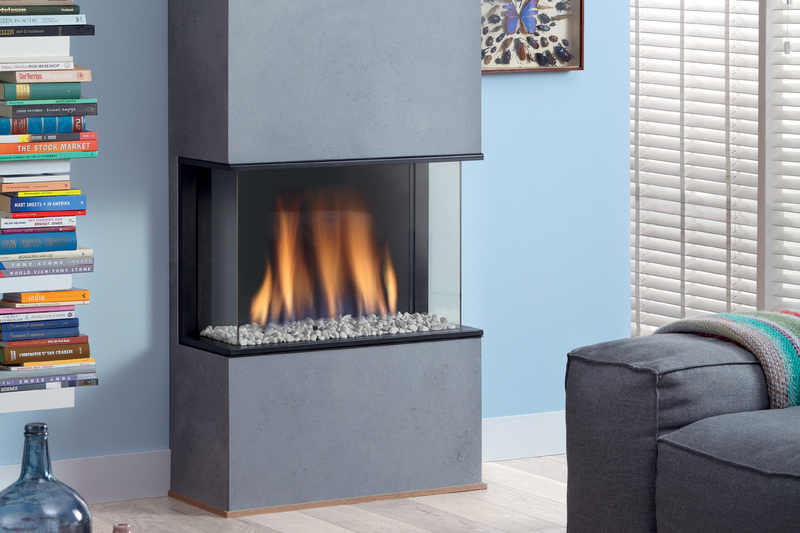 Global 60 Corner BF is a medium-sized corner gas fire with balanced flue technology. Its impressive log fire display can be viewed from 2 sides, making it a versatile fire for many locations in the home. It has a choice of black or Ceraglass interiors and is 84% efficient. The new DRU Global 55XT Cavity BF wall fire is the perfect solution for homes without a traditional chimney or where a false chimneybreast is not an option. 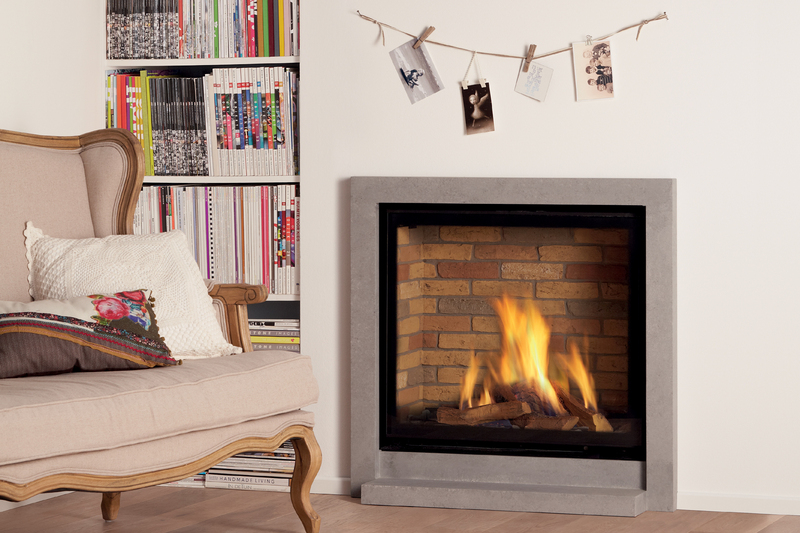 With its slim depth and perfect log flame effect, created by the unique Global Truflame Burner®, this stunning fire can easily be installed into your home's cavity wall without losing valuable floor space. 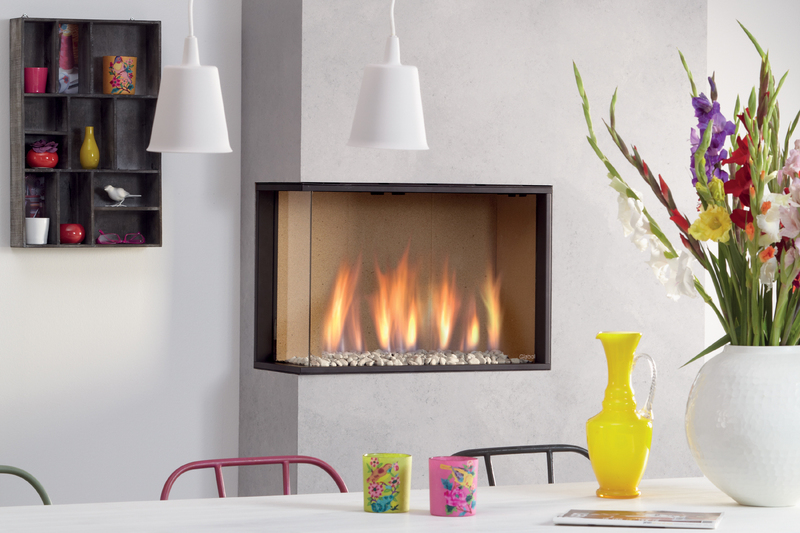 With its rear-vented balanced flue, the Global 55XT Cavity BF wall gas fire is the perfect solution for any home. Global 40 CF is the smallest of the Global gas fire range. 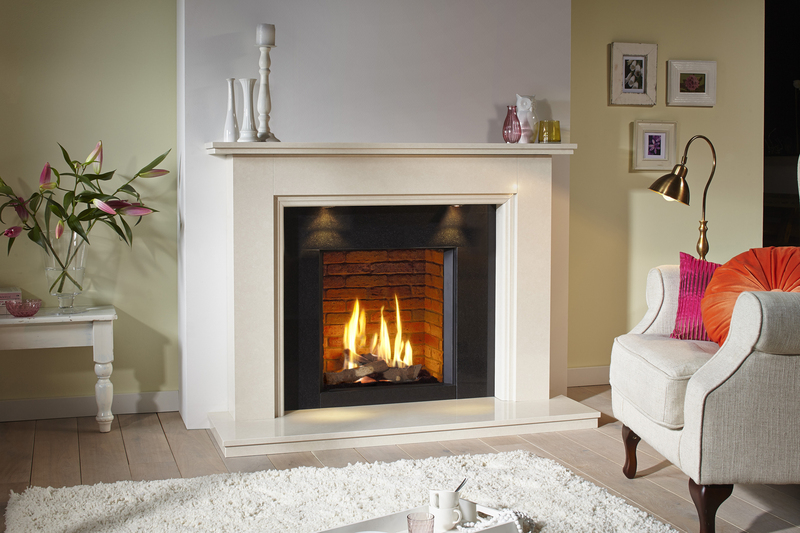 It is a classic, conventional flue gas fire. 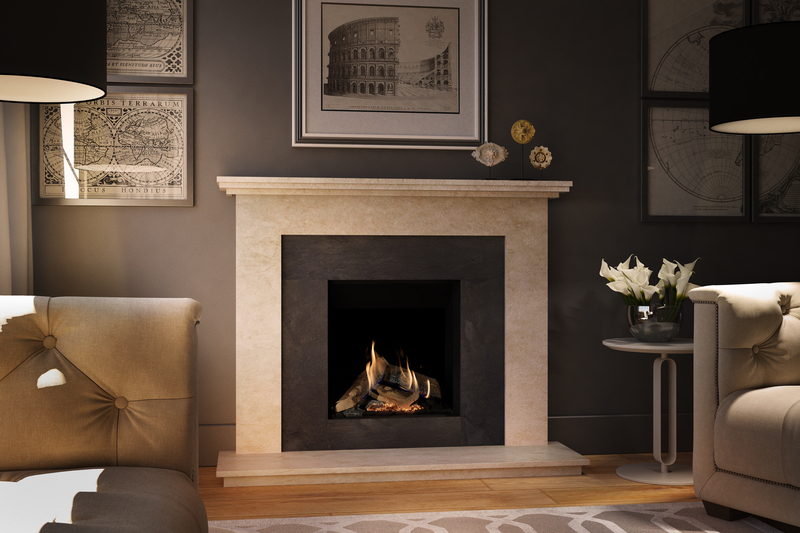 Global 60XT BF is for homeowners aspiring for a luxury gas fire on a reasonable budget. 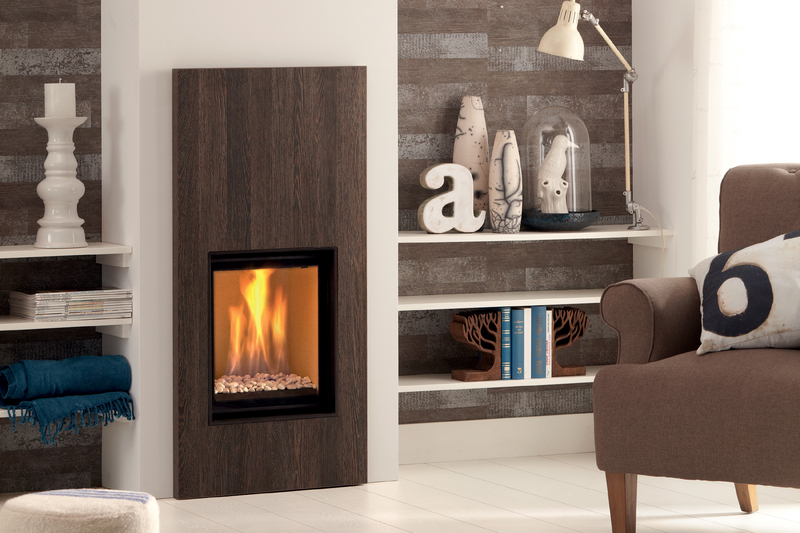 It is a mid-sized, square format gas fire with realistic logs and a choice of smooth black or Ceraglass interiors. It is 84% energy efficient. 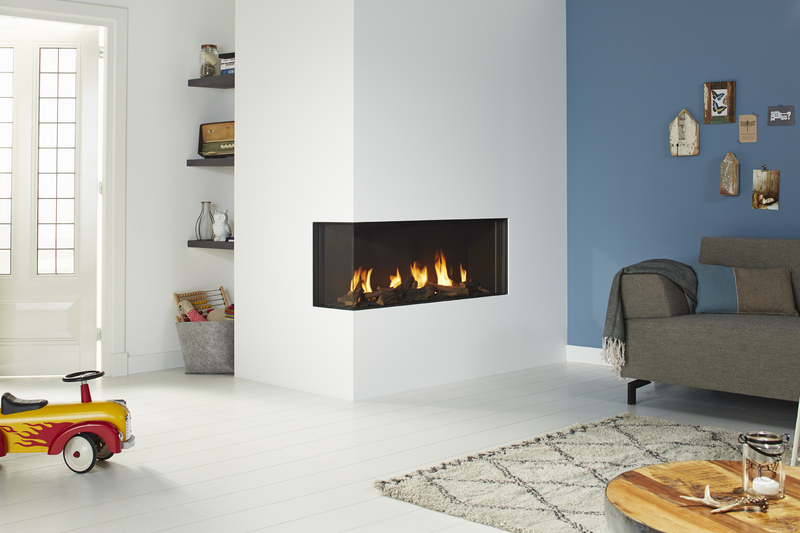 Global 60 Triple BF is a lovely balanced flue gas fire that is viewed from 3 sides, giving added vision. It offers a choice of smooth black, natural stone or reflective Ceraglass interiors. 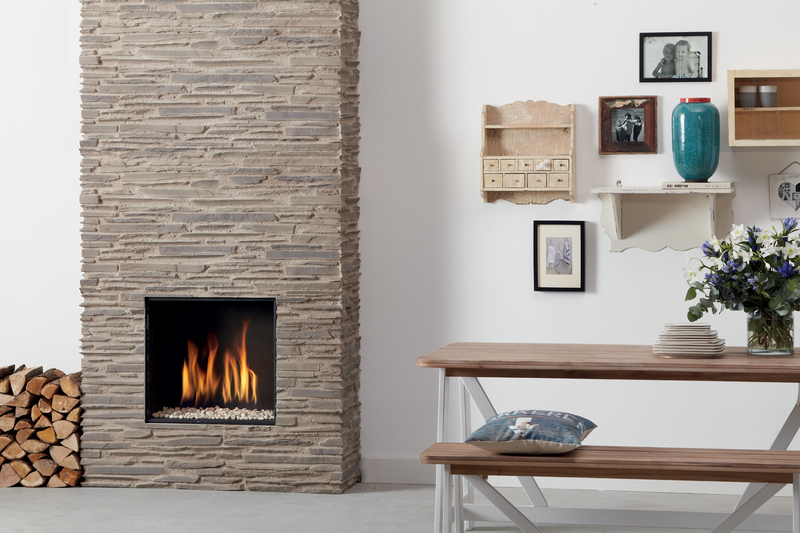 And with 84% efficiency and electronic remote control, it is the definitive 3 sided gas fire. Taking gas fires to another dimension. 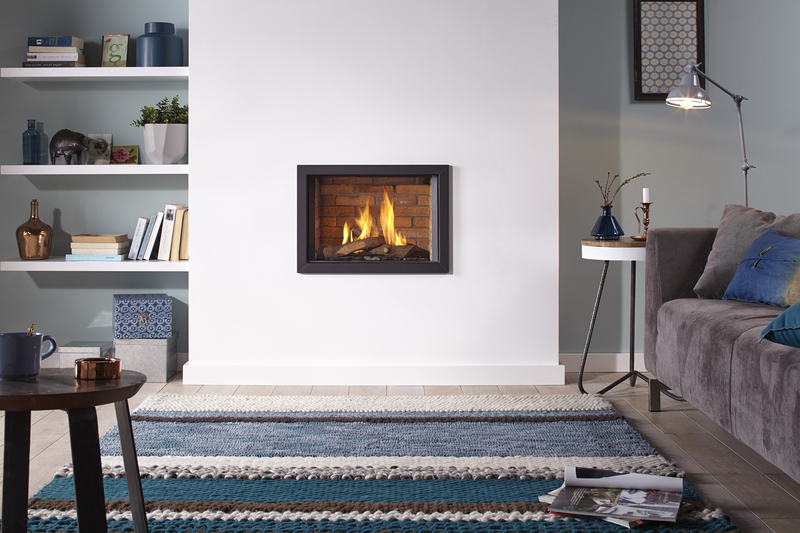 Global 120 Corner BF is a classic contemporary 1.2 metre wide gas fire with a return section that gives it an added dimension. It features inspiring log, stone or anthracite glass fire displays and energy efficiency of 88%.Its expansive glass window lends itself to a variety of locations, such as room dividing walls and room features. 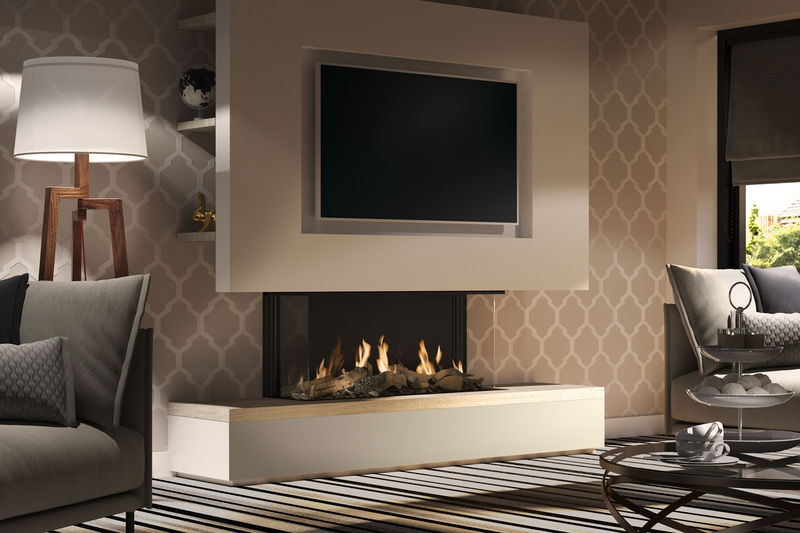 The DRU Global 70XT gas fire has been designed and developed for UK homes. It is a large, handsome widescreen fire with realistic logs and a choice of black, Ceraglass, slate or classic stone interiors. The fire is 82% efficient. 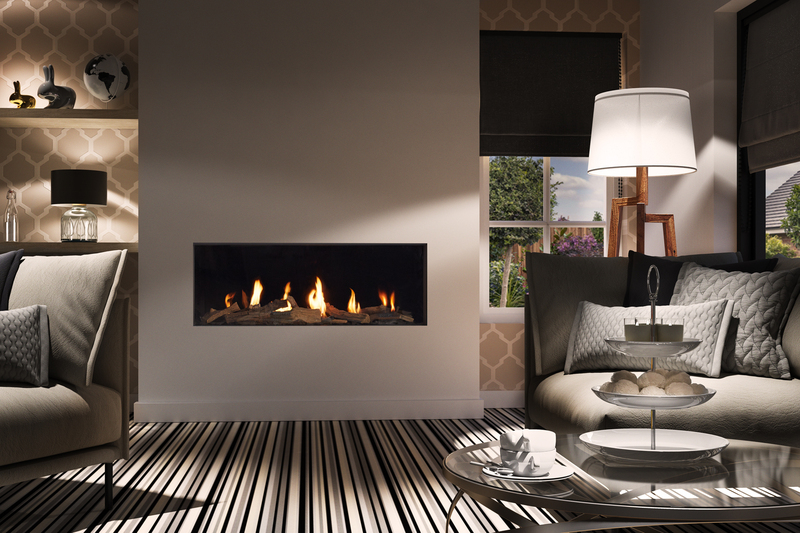 Global 100 BF Triple is a classic 1 metre wide gas fire with a 3-sided window that can be viewed from all angles. It has log, stone or anthracite glass fire displays and energy efficiency of 94%. The interior available in a choice of black or mirrored Ceraglass and it has a generous 7.5 kW heat output.